Hi there, fellow bloggers and food friends. 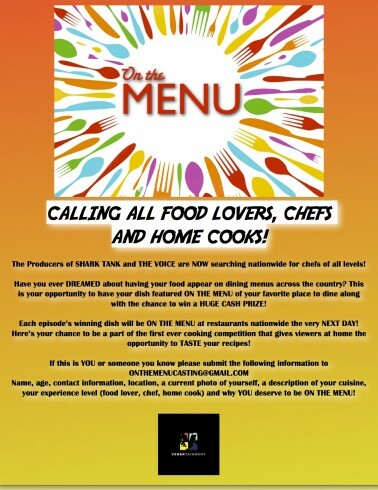 A production company is currently casting for TNT’s new “On the Menu,” a Mark Burnett production. Food bloggers and home cooks with a spiffy recipe they’d like to see featured on the menu of a national chain restaurant should apply. To sweeten the deal, winners leave with moolah. Auditions are in LA.